X marks the spot. In this case, “X” is our choice of national values. We abandoned traditional American values that built a great and prosperous nation. Unfortunately, this is a classic case of an explanation that doesn't explain anything. Why did the American people decide to abandon traditional American values just at that specific moment in time? In reality, the turning point of that time has been known for a long time. 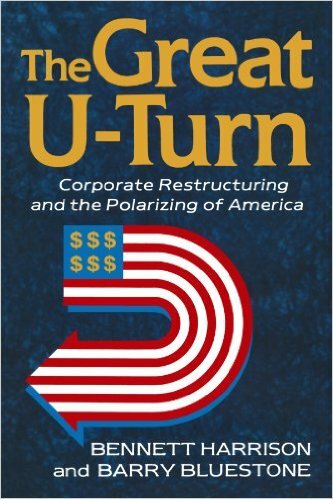 The first to notice it were Harry Bluestone and Bennet Harrison with their 1988 book "The Great U-turn: Corporate Restructuring And The Polarizing Of America." They noted that a lot of economic parameters had completely reversed their historical trends in the early 1970s, including the overall inequality measured in terms of the Gini coefficient. For nearly a century, the US society had been moving toward a higher degree of equality. 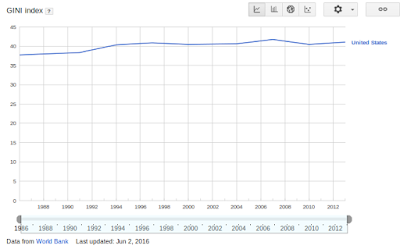 From the early 1970s, the trend changed direction, bringing the US to an inequality level similar to that of the average South-American countries. So, what was that "something" that changed everything in the early 1970s? Nobody really knows for sure, but at least there was a major measurable change that took place in 1970: peak oil in the US. (image below, from Wikipedia). It was a true asteroid that hit the US economy and that changed a lot of things. 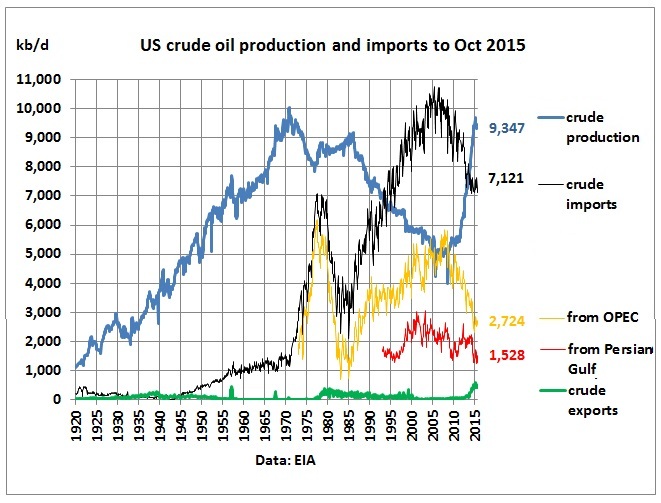 Possibly the most important change was that the US ceased to be an oil exporter and became an oil importer. That change was "user transparent," in the sense that the Americans who were filling up the tanks of their cars didn't know where the oil that had produced their gasoline was coming from (and mostly didn't even care). But the change implied a major transfer of capital from the US to foreign producers, while a large part of it returned to the US in the form of investments. It was the "petrodollar recycling" phenomenon that mainly affected the financial system; all that money never really trickled down to the poorer sections of the US society. That may well explain the increasing inequality trend that started in the early 1970s. 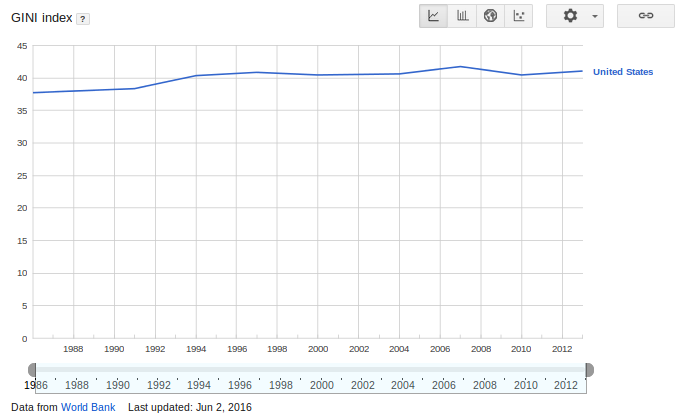 The data from the World Bank indicate that the Gini coefficient for the US has peaked in 2006 and has remained constant, or slightly declining, ever since. Again, that makes some sense; one wouldn't have expected a return to the low inequality values of the 1960s since the great shale oil boom didn't transform the US into an oil exporter. At present, with the recent peaking of the Bakken field, it looks like that the good times of half a century ago will never return. All this would require a lot of work to be better quantified and proven. But it is not a surprise that our life depends so much and so deeply on the production of that vital black liquid that we call "crude oil". And with the probable downturn of the US production that seems to be starting right now, we are going to see more, and more radical, changes in our society. What these changes will be, we have to see, but it is hard to think that they will be for better equality. US left Vietnam in August of 1973. The Vietnam War debt tied in with the Oil Price shocks of October 1973 to end Bretton Woods 2. Which likely accelerated the financialization of our economy. Add on the collapse of the Rust Belt. To my mind, the oil shocks signaled the end for the United States a being the sole industrial power standing after WW2. There are also a number of charts that show various indicators flattening out in the early 1980s. To my mind, this is the start of the period where debt was used to accelerate us out of the doldrums of the post-73 malaise. 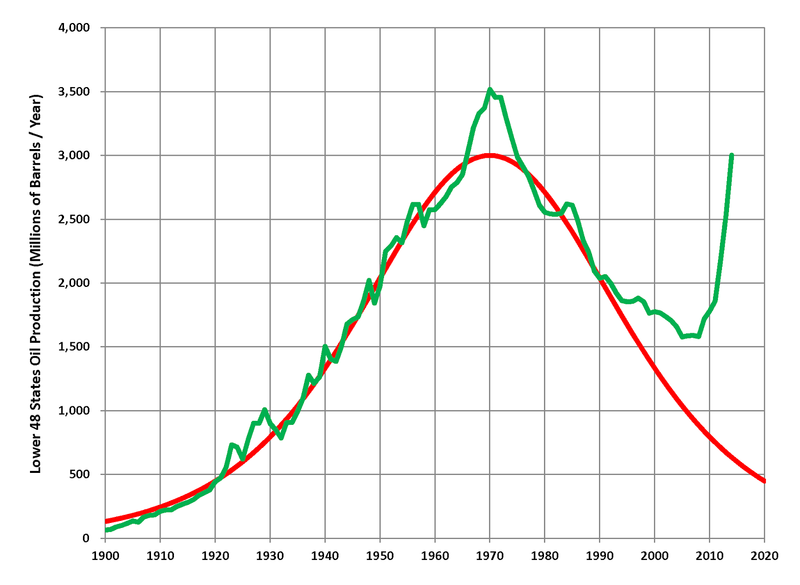 Peak Oil was my first thought as well when I saw the plot, but than I found this other blog post below arguing thE Genesis of the plot itself: https://www.r-bloggers.com/did-wages-detach-from-productivity-in-1973-an-investigation/ what do you think about it? The inflection point also coincides with the introduction of low-cost industrial computers and programmable controllers based on integrated circuits. The rapid adoption of these devices by U.S. businesses to automate production processes eroded the power of unions. Without bargaining power, labor could not prevent capital absconding with their share of future productivity increases. Where automation was not practical, manufacturers went shopping for states with right-to-work laws and willingness to grant tax abatements and other inducements. From that time on, the owners and servants of capital have done whatever it takes to ensure the "deplorables" (finally Hillary did something useful) continue to get a minimal share. It's an essential truth that in a dog eat dog world, dogs with no teeth get eaten. Peak oil certainly has had effects on society from that point on, but if anyone outside M. King Hubbert's coterie was thinking about it, that escaped my notice. Everyone was blaming it on evil "towel heads". Not just domestic oil production was lost, jobs in many other major industries started to be offshored, like steel and autos, that arguably had a greater impact on the American worker. I was also thinking of Bretton Woods and the explosion in money creation and debt that followed, which benefited corporates more than workers as profit went to owners of capital rather than translating into higher wages. Ugo this is interesting I agree re the asteroid analogy. I think however that the numbers are hiding probably more serious impacts on both income distribution but where we are generally, specifically population. When you look at the Overshoot Data and the Limit to Growth material, it seems to me that the overshoot and decline matches a threshold where we passed a critical point with respect to carrying capacity and hence distribution of goods and services is tied to that capacity in a way that looking at aggregate numbers does not reveal the reality that in fact everybody has to do with less. Now in some societies there has been a very unequal distribution as the energy and population issues began to impact. I guess I find the number of people a more fruitful approach rather than counting money and the politics of distribution. 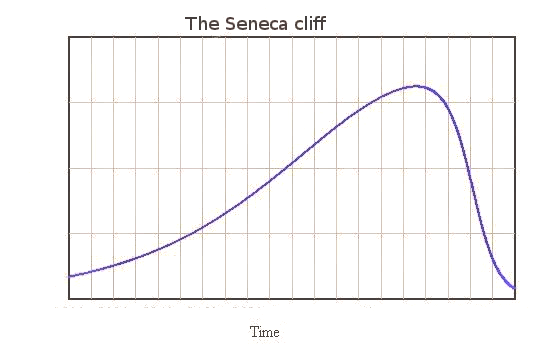 We are on the downward slope of a Seneca curve in a lot of critical areas but the inflexion point is definitely between about 1974 and 1984 and the only number that really jumps out hard is world and country populations. So if you think it through a little and take into account the fact that everything we do and count relates to these numbers then I think the true nature of our difficulties emerges. The energy issue is however critical to everything else but everybody now gets less except the kleptomaniac class (1%) who have been very adept and shifting surpluses to themselves and concentrating benefits but that is a political question and always has been. A lot more work needs to be done here I think but the fertility lag and population growth is evident but the peak is still a long way off due to the issue of human longevity the resources however to support that mountain are not and thus I think it is a paradox of sorts, we continue to grow in sheer numbers but it all gets worse qualitatively. As more workers enter the available workforce, this drives down wages. So, more US women began to take on jobs from the 70s onwards as well as the global workforce offering their cheaper services. There is always pressure on wages in a "matured" capitalistic economy where growth becomes harder to acchieve. Robert J. Gordon has shown this in his wonderfull paper (link). Even without external factors like peak oil this scenario always plays out. 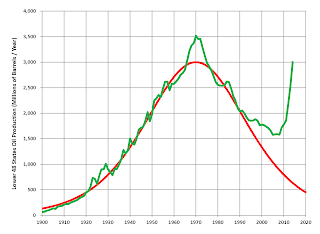 Peak Oil of course is contributing, as are many "headwinds of growth", as Rober J. Gordon calls them. GDP in essence is the sum of wages + capitalist and financial gains. 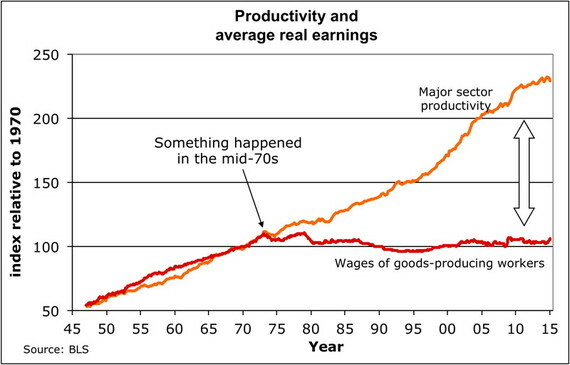 If (real) growth cannot keep up with the accumulation of capital the wages have to drop. Its pretty basic economy and one of the classical failures of capitalism. and IR #3 (computers, the web, mobile phones) from 1960 to present. Gordon surely underestimates the dependence of industrial civilisations from Oil. If peak oil, as it already does in my perception, denies growth in mature capitalist societies, social pressure builds up. As I wrote here many times, only an analysis that combines the basic marxist critique of capitaalism with the understandings of the limits to growth, will give us a perspective in what to expect from the future. Marx thinking was never more relevant than it is today. Marx even once thought to exchange "labour" in his theory to "energy". If he had had an understanding of physics he would have known that they are the same. To analyse economy today, we should therefore use marx critique of capitalism with the added knowledge, that today every worker has 100 energy slaves. There is only one contemporary economist of note who thinks in these straits today, and that is Steve Keen. Naturally he is shunned in his profession. Note, that he uses dynamic models of complex systems, the same as the limits to growth study did. My guess is, that the economic profession shunned dynamic (world) models after the outcome of the first such model was "the limits to growth". Capitalism and growth are so intertwined, that no economist can think one without the other. Marx could and this is the reason why his legacy was buried by our elites and the economcs and he was discredited in public discourse, just as the limits to growth study was. 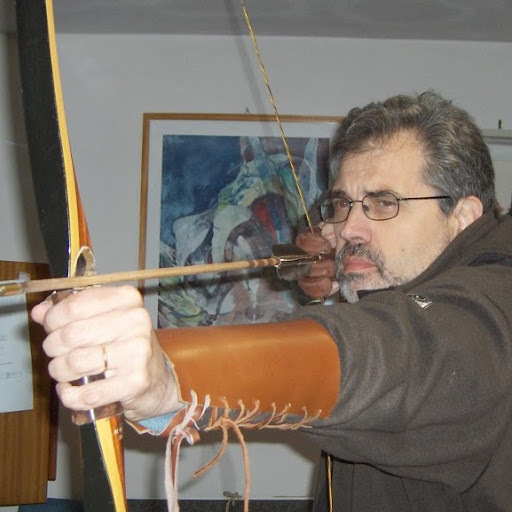 If we would get rid of the need for capital accumulation by the capitalista and the financial sector, we would get rid of the impulst for growth. We could do that by democratising the corporation by giving the control of the economy solely to the workers. Economist Richard D. Wolf has started a campaign called "democracy @ work", that I urge anyone to look into if he still believes that marxist thinking equals Stalinism. Ugo, thinking about this a little more this really seems to be illustrative of what the social and economic outcome really is of what the original 'Limits to Growth' study described as; 'fighting against limits'. Thus, when you look at the issue of capital and growth, what appears on the surface to be a significant maldistribution of capital (clearly evident in the US shale oil episode) is not really the case but rather is to my thinking illustrative of how humans had developed a moneterization system that uncoupled value from normal capital and its flows in a very deceptive way - it hid from view or active consideration, the decline of the original resource and reserves of the resource, by allowing mythical capital to be allocated to novel strategies to overcome the original limits of a physical finite resource. So when the mythical capital cannot be retrieved by normal liquidation and sale of physical resource processes the full impact of passing limits will be revealed. I think the surprising aspect is that I had not considered how by creating the petrodollar and the creation of money through fractional reserve banking and Central Bank liquidity injections or issuance, which had no real physical attribute tied to it, that is something of physical value by which it could be exchanged, these two innovations (and one has to admit they were ingenious) would be so effective at creating the illusion that we had infinite resources and hence there were no limits, by allowing mythical capital to become available and allocated to overcome the EROI issue. So what really happened in the mid seventies? we abandoned the gold standard and controlled currency exchange rates and so convinced ourselves that the physical limits of value on anything no longer mattered and could be controlled, this of course is now proving to be a delusion. No wonder then that the finance world has been so concerned about inflation because that has really measured the rate at which mythical capital came into being, not true resource demand bidding up prices. Break through the limits (2% nominally) and you blow up the system, however, as you well know the number line and exponential calculations can have a negative value so the stagnating income level of those not in control or having access to the creation of mythical money is exactly what the original models I now realise posited would happen (finance behaves exponentially as well), so those with less get less and will have less, those with more get more and will have more. Of course stealing other countries resources for yourself has always been another very effective method of overcoming local limits, the British did this for over a century and a half with their Empire. The Americans have tried the same tactics in the Middle East (Oil)and I am sure is part of the reason for their animosity at a strategic level to Russia and China (The last continents with significant reserves of land and other precious resources). The dynamics of world and local politics vis a vis distribution and allocation of 'money' now is of course becoming increasingly chaotic and that is why predictive assumptions of limits to growth were always guardedly discouraged, plotting chaotic flows was and still remains an area where linear algorithms wont hold. "Alien Observer" wrote that growth, labor and capital have a tight relationship. Thomas Piketty wrote convincingly in his (very) long book "Capital in the 21st Century” along those lines with more precision, little ideology, and data aplenty. When a person is afflicted with one or more dread health problems (cancer, AIDS, et alia), even a minor event can be fatal. It can be difficult, at times perhaps pointless, to establish “THE” cause. But the studies can be and often are quite enlightening. My understanding is that this development of rising inequality is not unique for the US, but also occurred in the UK and a number of other countries as well, many of them were never oil exporters. And of course, income inequality in some major oil exporting countries such as Nigeria, Saudi and Angola is huge and most certainly increased as they started to export oil. 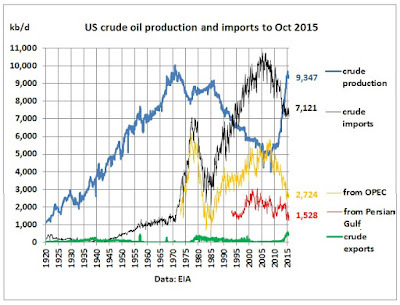 So I don't think the oil export vs oil import argument carries. Limits to growth combined with the increase of the financial sector as income generator for the rich provides a more plausable explanation, helped by reaganomic neo-liberalism. Does this mean that any investment made today with higher quality energy and resources will not produce an adequate return in an environment where overall wealth is diminishing every year? I can see where central banks would have to buy assets, allow corporations to buy back stock, and bail-out the financial sector or underwrite it with QE. If capital cannot be enticed into the real economy, even at a loss to the owner, then things shut down and those with paper assets convert them to real assets. The illusion created is that investments can still be made with a profit, even though the profit is just printed money. I wonder how much profit the mission to Mars to establish a colony will create, no doubt they will bring back "Tang" the drink of the astronauts and we will get new and improved Velcro. I suppose the central banks can continue to underwrite the operation of the economy until all of that fictitious profit and paper capital rushes for the real world to grab what remains. One looks at other oil exporters and the correlation between equality and oil exports is, if anything, reversed. (This is the infamous "resource curse.") There must have been another factor at play causing the divergence between the U.S. experience and that of the average oil exporter. Peak Oil came as no surprise to the experts who were collating national production and consumption data, because they had been using Texas as swing producer to keep the oil price stable. When there was no longer any Texas production cap, that was US Peak Oil, and the future was going to be one of constantly forking out for foreign oil. Faced with this huge economic drag, Nixon dropped the Dollar's convertibility to Gold, and switched to an entirely fiat currency, thus making the Petrodollar feasible. This was a technical default, but the US was at its strongest then, so the rest of the world just had to go along with it. No doubt many didn't know or understand that US Peak Oil had been reached, and that huge numbers of Petrodollars would soon start flooding world markets, and the US wasn't about to tell them. The first Oil Price Shock came in 1973. When World Peak Oil was approaching, there was a deal in place between OPEC and OECD that OPEC would act as swing producer to keep the oil price in the $22 - 28 /b range. On a few occasions, the price did move outside that range, due to unanticipated supply/demand disruptions, but it was quickly corrected. Then in December 2003 it went outside that range for good. Saudi Arabia kept saying it had spare capacity, but it never eventuated - only more excuses. Concern is growing in the U.S. - about escalating world oil prices - which are pushing up the price of gas here. So, when President George Bush met with oil-rich Saudi Arabia's Crown Prince Abdullah at his ranch Monday, energy prices were at the top of the agenda. Before Crown Prince Abdullah arrived at his ranch, President Bush told reporters the Crown Prince understands that it is very important to make sure oil prices are reasonable. "A high oil price will damage markets. And he knows that. I look forward to talking to him about that, as well, you now, we'll talk about his country's capacity. It's an important subject," says President Bush. After President Bush and Crown Prince Abdullah met, Adel al-Jubeir, Foreign Affairs advisor to the Crown Prince, said his country does have the capacity to produce more oil - which it has pledged to do. But he says that is not really the problem. "We believe that the price of crude oil does not reflect the full dimensions of supply and demand. There is no shortage of crude oil in the world today. What we see is a shortage of refining capacity as well as shortages in infrastructures and so forth, that drive the price of product up," says Adel al-Jubeir. He also said fear of instability in oil producing countries like Iraq also drives up the price of oil. As does tremendous growth in China and India - where energy demands are rising rapidly. Later Saudi excuses turned to speculators on Wall Street, who are only gambling against each other in a zero-sum game. Anything to avoid admitting to Saudi Peak Oil. From the start of 2007 to mid-2008 the oil price increased 72%, sucking over $1.75 trillion extra Dollars out of the US economy. On July 11 the price peaked at $147 /b, and the US economy blew up - business models were not built to withstand oil price shocks like this. And banks were not built to withstand a business collapse, so Lehman Brothers blew up two months later, nearly bringing down the Dollar and world trade with it. And the problems of contracting oil supply and demand are only just starting to bite. The next Lehman moment will see a cascade of defaults, and world trade lock up entirely, affecting banking, food production and distribution, electricity production, water, sewerage, telecommunications - everything. To me clearly it was the delinking of the US$ from gold on 15th Aug 1971 that changed everything. And of course the linking of the US$ to all oil trades to keep a need for the US$ and obtain a line of credit from the world. Backed b the Greatest ever Ponzi scheme in he history of mankind by the private US Fed . The Seneca Effect: Soon to Become a Book!